In my last post I raved about my Heath toffee brownies as being The Best Brownies. I adapted that recipe from this one. 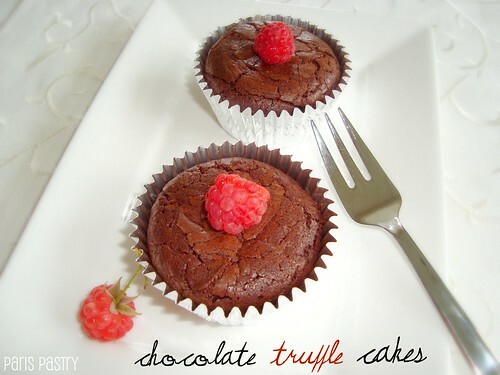 I had made these chocolate truffle cakes a few days earlier and fell in love. I love how these are individual-sized and remindful of naked cupcakes. 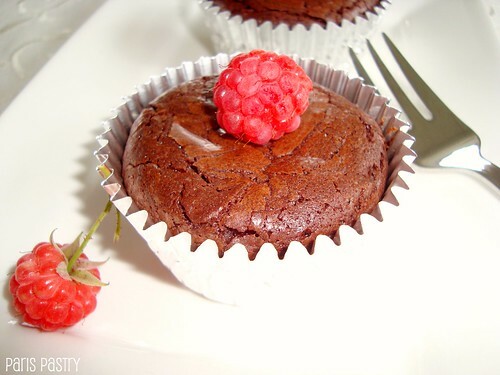 For extra fudgy results, make these cakes a day ahead; wrap them well in plastic wrap, and reheat them by either placing them in the microwave for a few seconds or popping them back into the oven for a minute. Serve with ice cream and prepare to die and go to heaven! Rating: 5- out of 5. - Preheat oven to 375 degrees. Generously butter a standard 6-cup muffin tin. Dust with flour, tapping out excess; set aside. - Spoon mixture into the prepared muffin tin, filling cups three-quarters full; swirl tops with back of spoon. Bake until tops are springy to the touch, 18 to 20 minutes. Immediately turn out onto wire racks; reinvert, and let cool. You had me at chocolate ... and then sent me right over the edge with truffle!!! Swooning right now! Umm yeah I need to try these STAT! These look and sound amazing and I really want to make them now being a very big brownie fan. But how much is a tablespoon of butter? @Choclette: In grams? 14 grams.